A true tropical plant, this lemony, aromatic grass smells as good as it tastes. For thousands of years, fresh and invigorating lemongrass has flavoured soups, curries, teas, and featured in herbal preparations in many areas of Asia and Africa. Even though large-scale production only started in the late 1940s, today lemongrass is one of world’s favourite essential oils. Its strong, lemony aroma is a beneficial component of blends designed to freshen the air, clear the body and mind and support a sunny disposition. Lemongrass is, not surprisingly, a member of the grass family. It is a perennial plant (meaning lives for many years) that grows in dense clumps of stiff, upright stems. Lemongrass grows from a rhizome, or bulb, but it doesn’t tend to spread as much as some rhizomes can. Each clump of lemongrass can be up to 1.8 metres (6 feet) high, and 1.2 metres (4 feet) wide. The individual stalks look a bit like spring onions, but they are much woodier. If you look closely, you’ll see tightly packed, grey-green leaves. Lemongrass is native to Sri Lanka and South India, and is cultivated in the tropical parts of America and Asia. India is the world’s largest lemongrass grower, but this plant is also grown commercially in China, Malaysia, Thailand, Vietnam and Guatemala. Lemongrass requires bright sunlight for most of the day, as well as damp soil and excellent drainage. It’s a true tropical plant, and needs to be planted in USDA hardiness zone 10 and above, meaning areas that never freeze over winter. In cooler areas, it can been grown indoors and in greenhouses, as long as it gets lots of sun. In its first year, lemongrass will produce very little, but it picks up speed in its second and third year, with peak production occurring in the third and fourth year. By the sixth year, production slows down, and farmers will replace it with a fresh plant. If you’d like your own pot of lemongrass, check your produce section. Sometimes, lemongrass is sold for cooking with roots still attached. These can simply be planted, and will quickly start to grow. If you can’t find a stalk with roots attached, try placing a (very fresh) cut stalk in a glass of water. Roots should start to form, and your baby lemongrass plant can then be planted into soil. Lemongrass is heavily used in many Asian cuisines, particularly Thai food. It is delicious in may types of soups and curries. 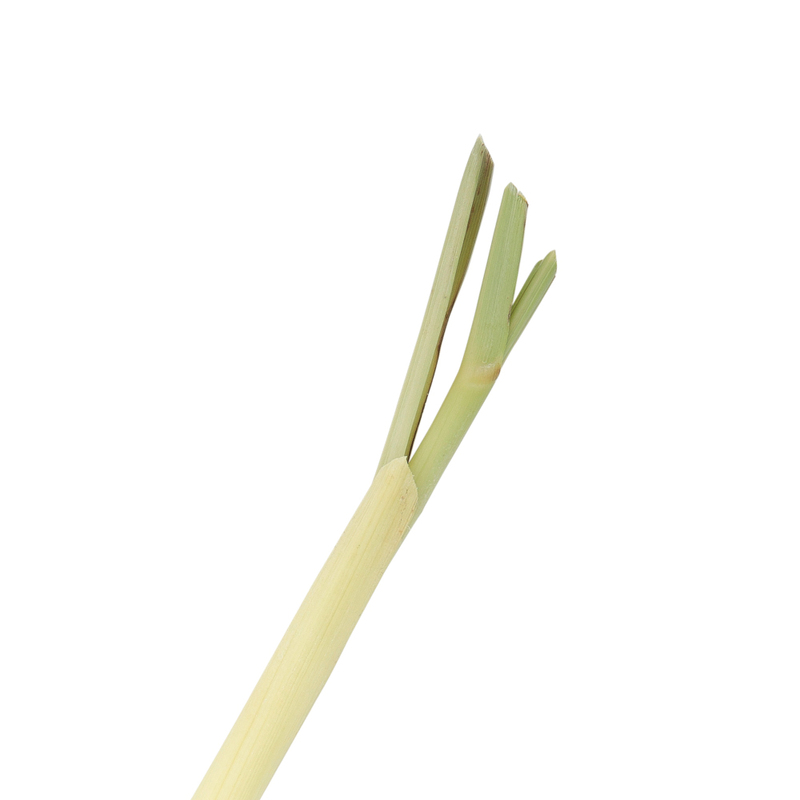 When shopping for lemongrass, look for heavy stalks: lighter stalks may be dried out. Lemongrass can be added whole in soups and curries, but be sure to remove it before serving, as the tough stalk is inedible. Pound the stalks with a pestle or bend them a few times to bruise them, because this will release more delicious, lemony flavour. If you prefer, the few tender centimeters at the bottom of the stalk can be finely chopped, or pounded into a paste. The tough end of the stalk should be discarded. Lemongrass can also be brewed into a delicious tea. Steep fresh or dried lemongrass in boiling water, let sit for a few minutes, then enjoy hot or iced. The bright, refreshing, stomach-soothing drink called te-de-limon is popular in Latin America and many other parts of the world. Fresh lemongrass will keep for a week or two in the fridge, or pop it in the freezer so you have ready access to this refreshing and recognizable ingredient at any time. Bright, energizing lemongrass essential oil has myriad uses, from home cleaning to aromatherapy. Some museums in India even use lemongrass essential oil to help preserve ancient palm-leaf manuscripts, and protect them from insects. The oil helps keep the brittle pages supple, and the naturally hydrophobic molecule keeps out humidity. While most insects will stay away from lemongrass, beekeepers have discovered that lemongrass is highly attractive to bees. They can use lemongrass essential oil to lure bees when trying to capture a swarm, or to draw the attention of a hive. In fact, it apparently works so well that is can’t be used on a weak hive, because it may encourage a stronger hive of bees to stage an invasion. In Ayurveda, lemongrass is considered to be a powerful remedy. Lemongrass essential oil is considered to have a neutral effect on vata dosha, and to help alleviate excess kapha and pitta dosha. Lemongrass is thought to act as a tonic that supports the body’s digestive, nervous and respiratory systems, and can help fortify the nerves and muscles when added to a massage oil. Lemongrass helps to release too much pitta energy by encouraging sweating and detoxification. When used in a muscle rub, or added to a warm bath, lemongrass essential oil helps soothe achy areas by helping the body eliminate excess fluid and toxins. The bright, happy scent of lemongrass essential oil helps energize, and improve your outlook on the day. In magical traditions, lemongrass is associated with the planet Mercury, the element air, and is considered to be masculine in nature. The cleansing properties of lemongrass–whether in the physical, spiritual or emotional plane–are useful in rituals intended to cleanse and purify, or shed light on dark corners or hidden issues. It can also help to dissolve obstacles standing in your way, and transform negative energy into positive. Lemongrass is thought to foster openness, and is sometimes used to promote clear, open communication. In Asia and Africa, lemongrass has been used in cooking and as an herbal remedy for thousands of years. While the commercial distillation of lemongrass essential oil for export reportedly began in the 17th century in the Philippines, lemongrass wasn’t widely distributed until the last hundred years or so. The current popularity of this fresh, lemony herb in essential oil may be attributable to a Sri Lankan researcher named J.F. Jovit, who acquired some lemongrass and researched its beneficial qualities. By the late 1940s, lemongrass essential oil was being produced in Florida and Haiti. In 1951, citronella, a closely-related essential oil, was displayed at the London World’s Fair, which helped to further increase interest in lemongrass. Today, lemongrass essential oil, with its clean, sunny scent, is one of the most popular essential oils throughout the world. Lemongrass essential oil contains citral (65% to 85%), geraniol, neral, mycene (12% to 25%), diterpenes, methylheptenone, citronellol, linalol, farnesol, other alcohols, aldehydes, linalool, terpineol, and more than a dozen other minor, fragrant components. Lemongrass essential oil has a long history use as a folk remedy, and scientists are working to validate the traditional claims about the benefits of lemongrass.